Offer people natural alternatives which support health and the healing of common ailments. Support people who wish to stop smoking in 60 minutes. Smoking is not only endangering your health and wealth, it is also very bad for you four legged friends! 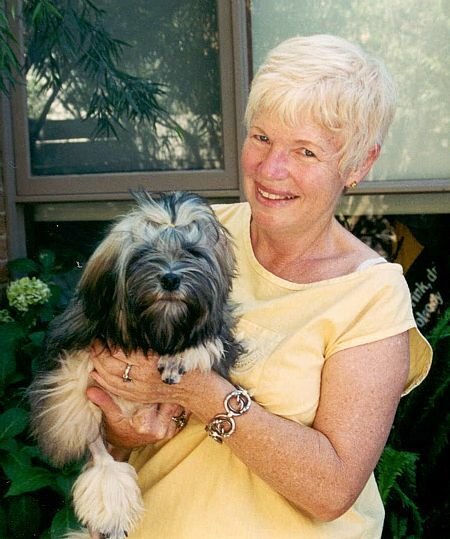 My love of animals with over 55yrs experience in breeding, showing, and training of dogs, I bring passion, understanding as well as commitment to my work. 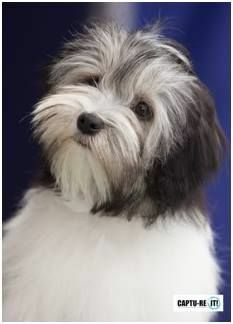 Along with being a groomer for 55 years I have been a member of Dogs Vic also over that time. I am also an active competitor in the show ring and a dog Judge of four groups, and take an interest in performance dog sports such as agility, canine freestyle,. I also help people understand what is going on when dogs go into a frieze and will not show and what they can do about it. Supporting change in mental, physical and emotional health of your pets. 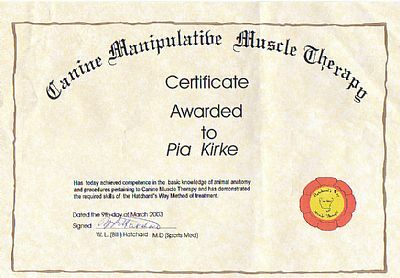 I have a keen interest in the application of natural therapies in the area of improved handler and animal performance. I have owned a menagerie of animals, including dogs, cats, rabbits and horses they and their owners will always be my teachers, healers and friends. So if I can impart even just one bit of wisdom, it is to ensure your dog is in good shape for the work he/she is doing, the best way is to have regular checkups and support it through, bind mind and spirit. My life’s work is to work for the wellbeing of the animals and to engage in a complete approach with the owner/handler, your veterinarian, other health care provider or animal trainer (if when needed). As with any complementary therapies, the advice and healing given does not replace the services, views and opinions of your veterinarian. feel free to have a look around and contact me if you would like to know more? Quit Cigarettes in 60 Minutes with a life time grantee. See my quit page or email me to find out how I can help you. Feel free to sniff around my site and check out what I have to offer. 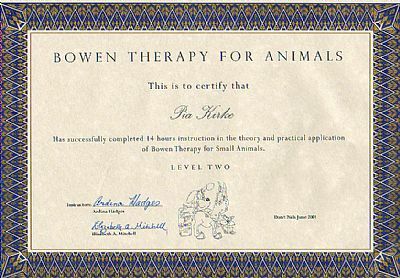 As a Body work Therapist I draw on my experience in Bowen and Canine manipulative muscle therapies, and as Pet Groomer and Clairvoyant, I give grooming advice and information on pet nutrition and other modalities in pet health. In addition, I teach you how to groom your own pet and offer problem solving advice to handlers. This results in general improved obedience of your dog and should assist you in your preparation for showing.